Have you ever woken up with a pain in your neck? Immediately, you know you slept wrong and you spend the rest of the day in pain wondering what you did to it. Most people don’t think twice about how they sleep at night and how it could affect your neck. But there are things you can do to make sure you don’t wake up with that awful neck pain again. You first need to look at how you sleep and how the position you sleep in could have an effect on your neck pain. How does your sleeping position affect your neck pain? To minimize pain in your neck, the best position to sleep in is either on your back or on your side. You can actually buy a pillow that comes with special built-in neck support that also has an indentation where you should lay your head. If you don’t have access to a support pillow for neck pain, you can always make your own. 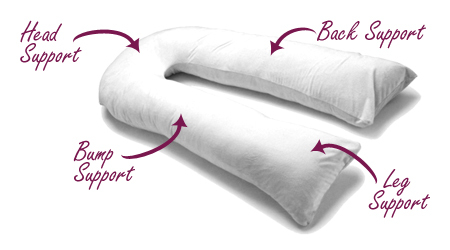 For back sleepers, use a round pillow or a small neck roll that will help to reinforce your neck and its natural curve, plus a flat pillow that will cushion your head. This may sound a little complicated, but it allows you to achieve the same support as the special pillow. Don’t use a pillow that is too rigid or elevates your head too much. This will keep your neck from bending as you sleep which can make your neck stiff and sore when you wake up. Feather pillows will easily adapt to the shape of your neck. The only downside to a feather pillow is that it will collapse after a lot of use, so it is important to replace it each year. It is also possible to keep your spine straight when you are sleeping on your side by using a pillow that is higher under your head and neck. You’ve probably seen those horseshoe-shaped pillows people use when traveling, so you can sleep comfortably, but did you know they actually protect your spine? These pillows keep your neck from dropping to one side, but, if it is too large for you, it will actually force your head forward into another uncomfortable position. 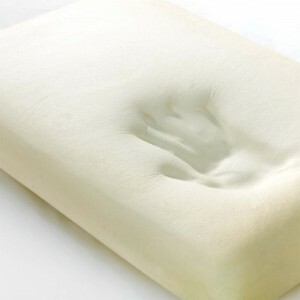 Memory foam pillows are another option as they are meant to help people adopt proper spinal alignment. They work by contouring to your neck and head, and you will also find some cervical pillows that are also made of memory foam. If you are a stomach sleeper, you need to relearn how you sleep. Your preferred sleeping position was set early in your life, and it is often difficult to change. However, when you sleep on your stomach, you are arching your back and turning your neck to the side which is hard on your spine. If you can, try to start sleeping in a healthier, well-supported position on your side or back. Can sleep itself cause neck pain? There is an interesting theory that sleep itself can help cause musculoskeletal pain such shoulder and neck pain. Researchers have studied both people with and without sleep problems, and studies have found that people that reported sleeping problems were a lot more likely to acquire musculoskeletal pain than those that reported little to no sleeping issues. One theory is that when there are disturbances in your sleep patterns, your muscles are not allowed to heal and relax as they normally would when you are sleeping. Plus, after you develop musculoskeletal pain, you will develop a brutal cycle of pain that will keep you from a restful night’s sleep.